At an ordinary day at the mall, I saw this at the bookstore. 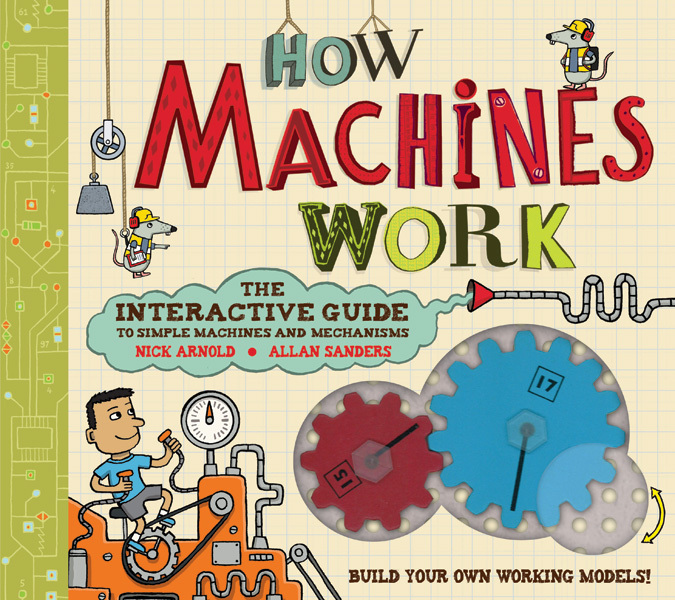 “How Machines Work” by Nick Arnold and Allan Sanders. This would be a perfect christmas present for my four-year-old son. The cover looked inviting, the illustrations, the visual mechanics on the cover and the colors appealed to my inner child. So I bought it…and forgot that it was a christmas present for somebody else! But I went to the kindergarten to pick up my son and we opened it as soon as we got home! First experience: The illustrations does NOT match the age rating! I discovered the “7+” too late. But no severe harm done! 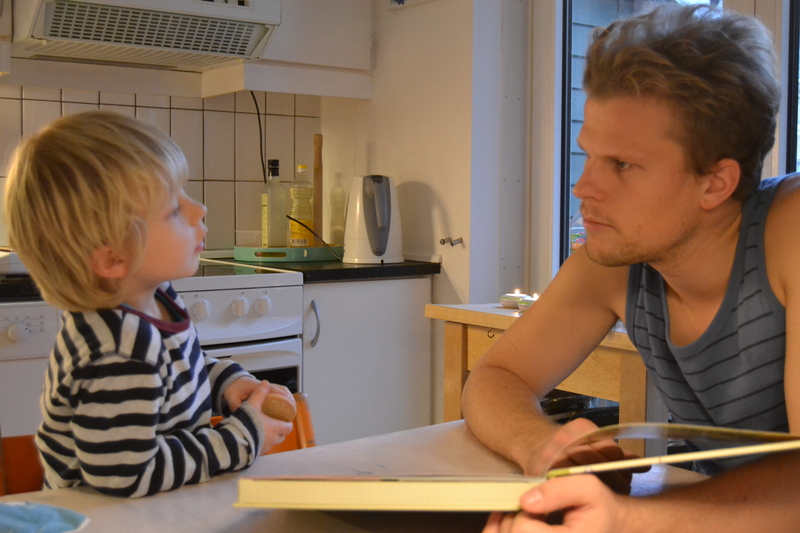 I started to read aloud and he listened attentively. First theme was to understand the power of the wedge, and then later build one. 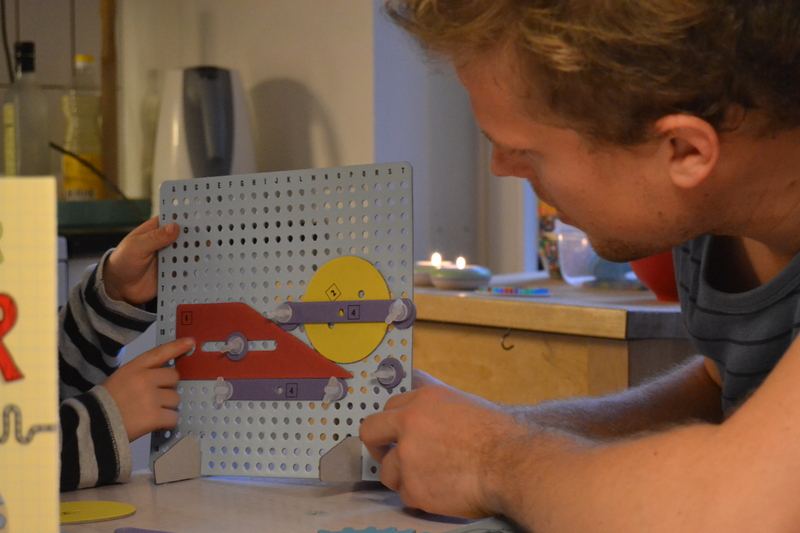 The construction plate, also cardboard, is divided like a matrix of letters (horizontal) and numbers (vertical), just like the board game Battleships, which makes the instructions easy to follow. they look very much like an IKEA-instruction, consisting of almost no words, but pictures and icons. Some of the building task-instructions starts on one side, and continues on the next. Another instruction continues in another booklet, which is confusing. It’s a good thing, that the gears and other mechanical parts are equipped with colours and names or numbers. 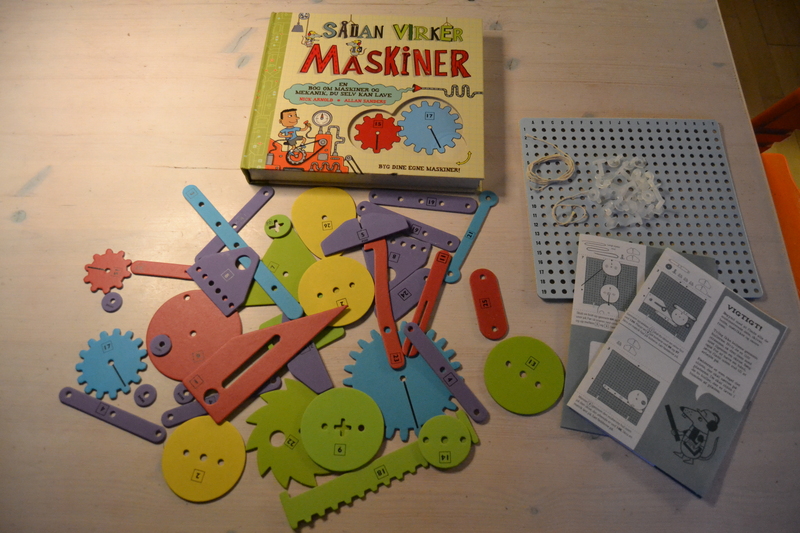 The DIY-tasks matches the themes and illustrations well. But some keywords are not explained, nor supported with illustrations, making the knowledge-building process difficult. An example is the word “Friction”. I don’t think many children knows the meaning of that, and the book gives no explanation. I believe, that there is a lot of opportunities to go crazy in creative constructions, which surely, is the best way to learn. 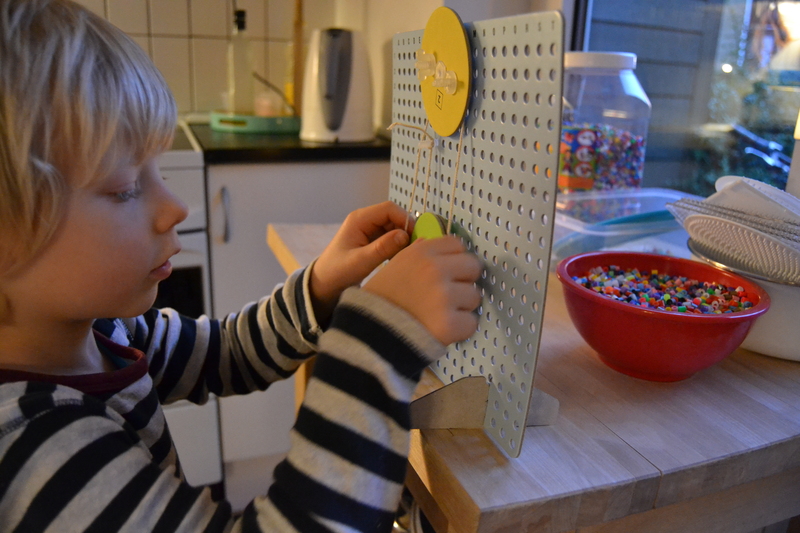 please send english images of the instructions for the construction kit…….. Girl made an Arduino Scare Bear at Coding Pirates – the result is awesome!